Men who are interested in sperm banking are welcome to contact the team at NTMIC Sperm Lab. 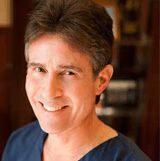 Our fertility center can help men in the Frisco, TX area with conception and other fertility concerns. Sperm banking, or sperm storage, is commonly done to maintain sperm for future use. 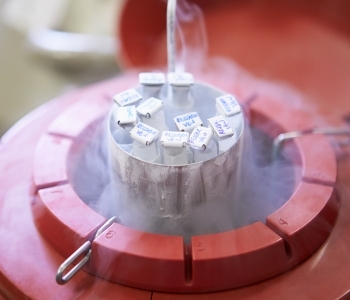 Sperm banking is the collection and protection of sperm through cryopreservation. Sperm is frozen as a safeguard for men to protect their ability to later become fathers. Many couples have been able to preserve and use sperm to conceive, starting or even expanding their family at a later time in life. Sperm banking at NTMIC Sperm Lab is done under the direction of Dr. Jeffrey Buch, a nationally-recognized male infertility expert right here in Frisco, TX! Collection of a sperm specimen can be done either at home or in our office. We provide private, discreet locking rooms and visual aids to help with collection in our office. Otherwise, patients can bring in their sperm collection in a clean, screw-top lid container within one hour. Dr. Jeffrey Buch believes patients should have access to quality services at a state-of-the-art fertility center in Frisco, TX. Sperm storage is just one of the services available. If you are interested in finding out more about sperm banking to protect your chances of conception later in life, contact NTMIC Sperm Lab at (972) 616-4477 and visit the practice at 5616 Warren Parkway #101-B.